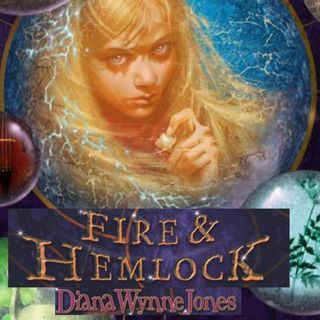 It's time for the next episode of Fire & Hemlock, brought to you by Patricia Bing Grant, in which I begin to realize that this whole book is going to be much more emotional than I realized. I am a big fan of this book and at this point would consider it one of my favorites that has been commissioned so far. That said, it's nothing like what I expected, and I was unprepared for how deeply personal it feels and how nuanced and adult a lot of the themes are. I'm a big fan of ... See More how Wynn Jones has handled a lot of this subject matter, and I keep being surprised at how much she seems to make me feel in a few short sentences.